Before I talk goals, I want to share things from two other blogs. I am completely in love with this top made by Rita of Red Pepper Quilts! It’s a modern use of a traditional block, and the colors! Oh! And BadAss Quilters Society has some guidelines on copyright infringement (stealing). I was partially successful in completing my July goals. Finish piecing Layer Cake Explosion. Make Christmas wall hangings for my shop. 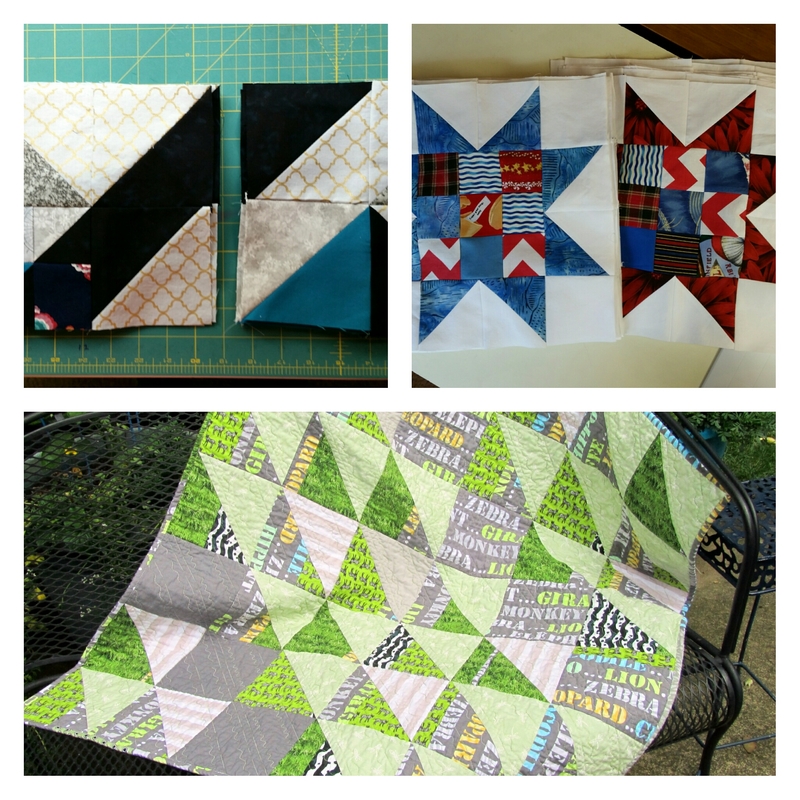 Make a scrap quilt for donation. I know many of you have far less sewing time than I do, but I’m enjoying seeing you working away at your goals as you can. Keep it up! Good luck with your August goals. Before I went back to work, I also set goals and got a lot done. Now I’m mostly content with doing a little something creative every day. I miss my hours of uninterrupted sewing time!